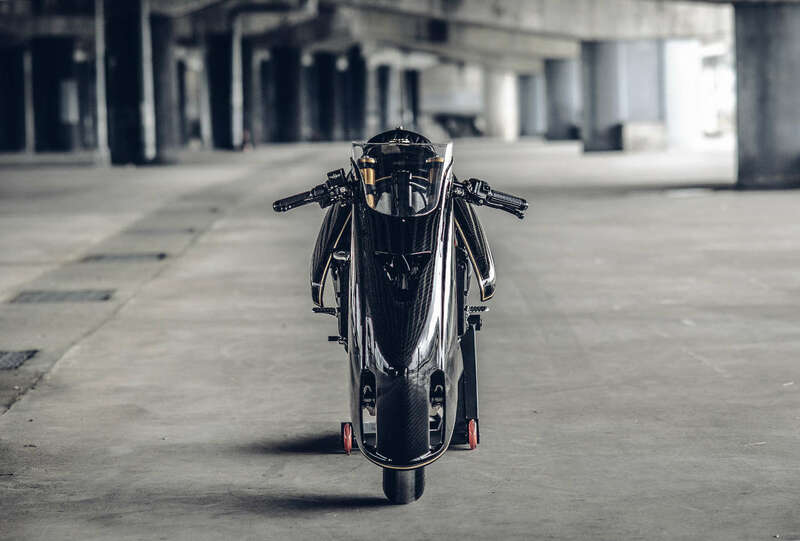 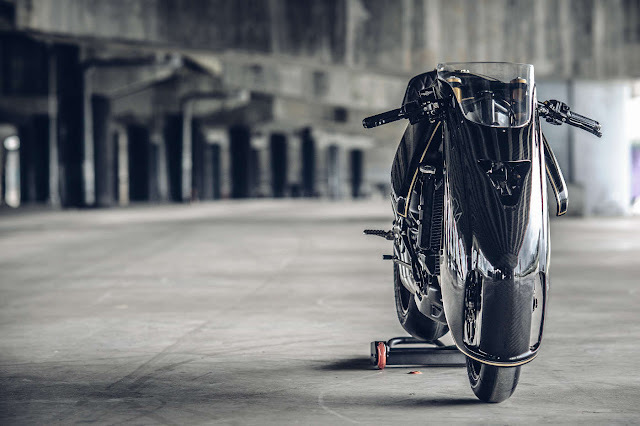 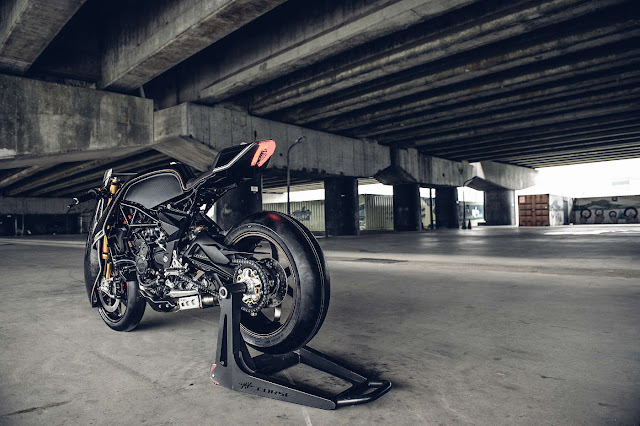 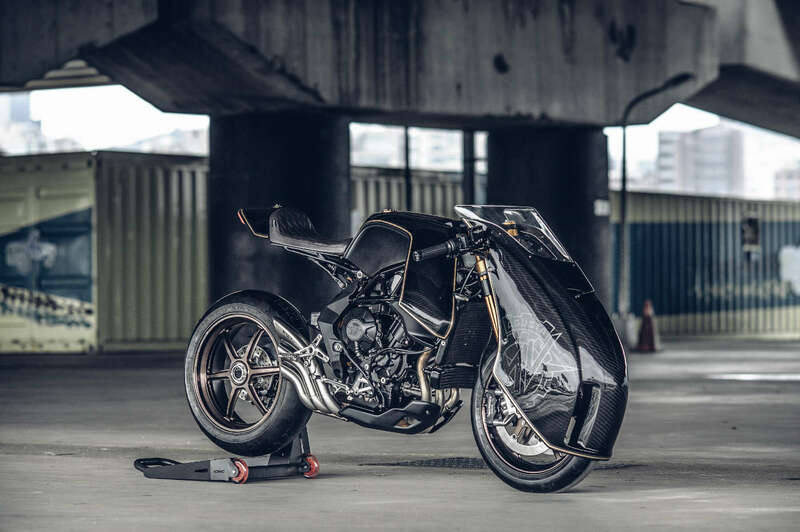 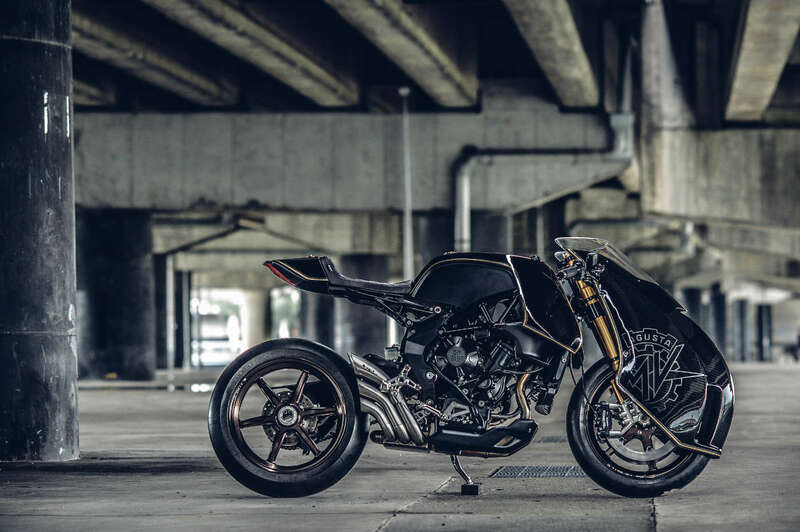 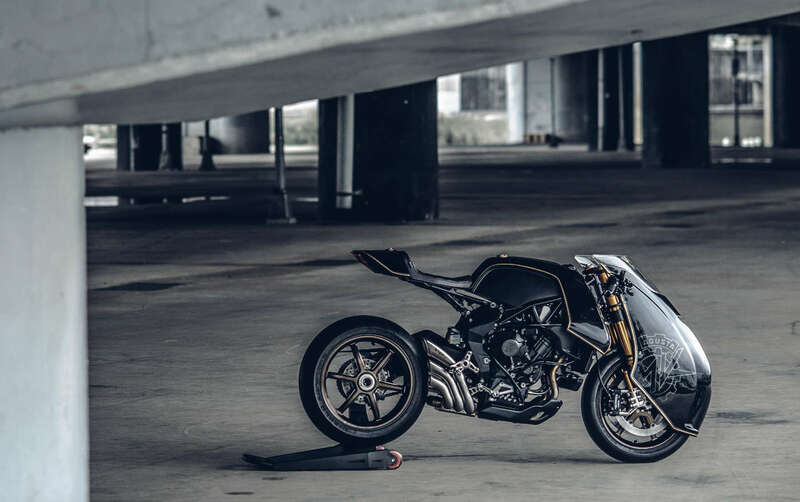 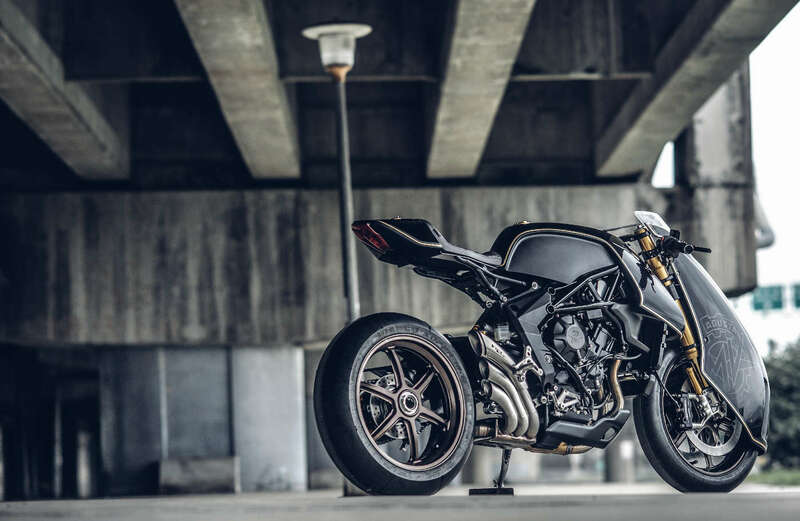 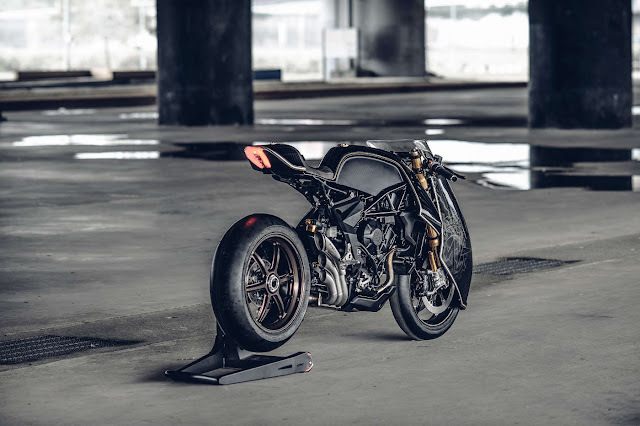 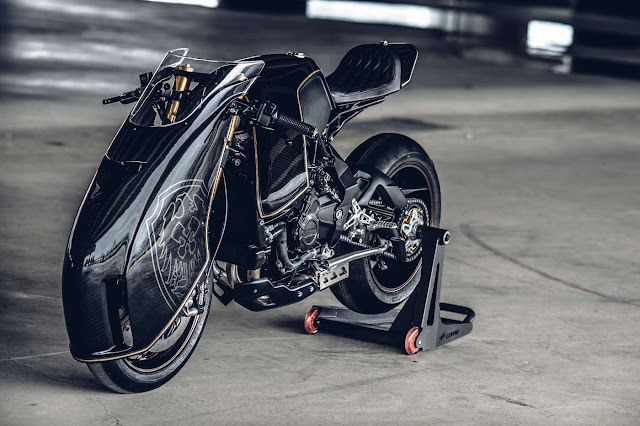 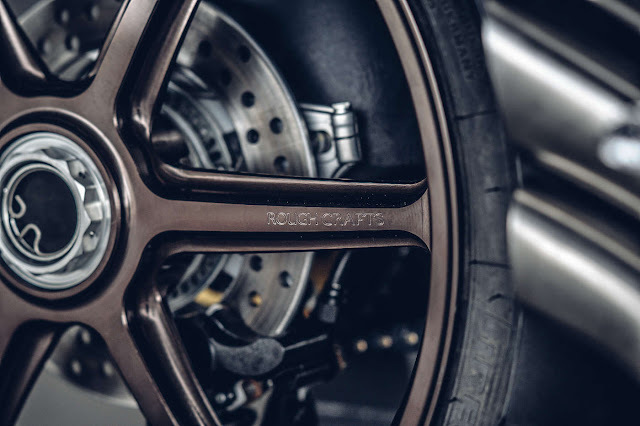 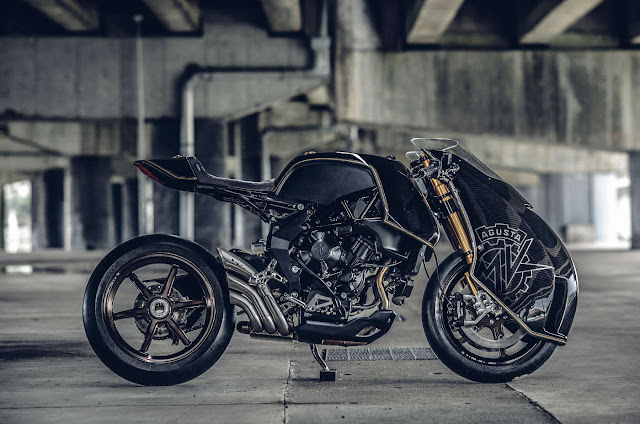 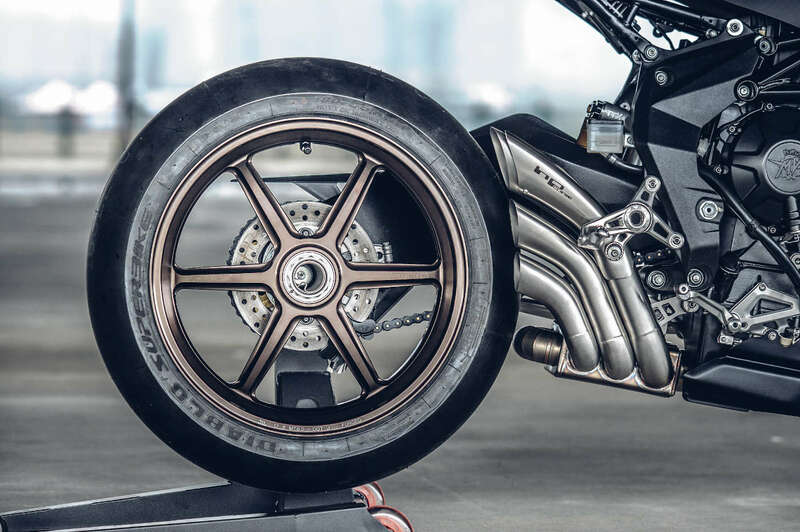 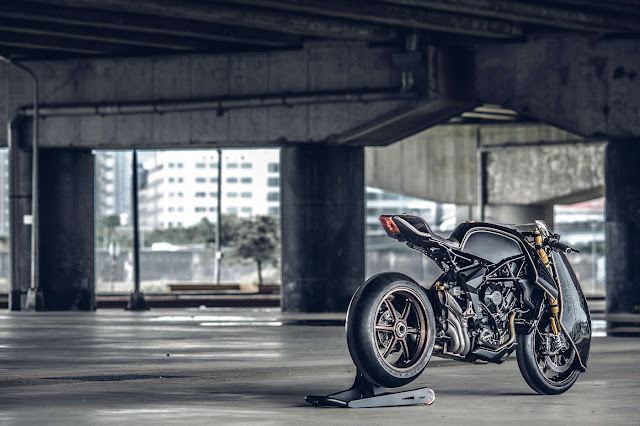 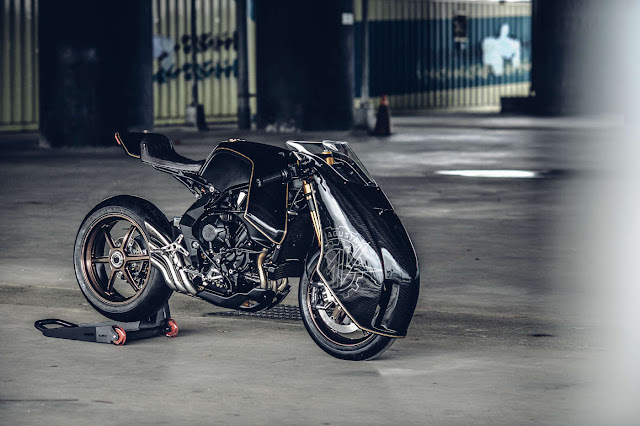 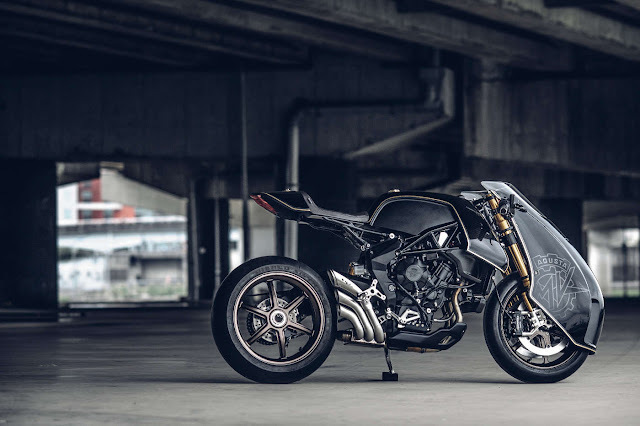 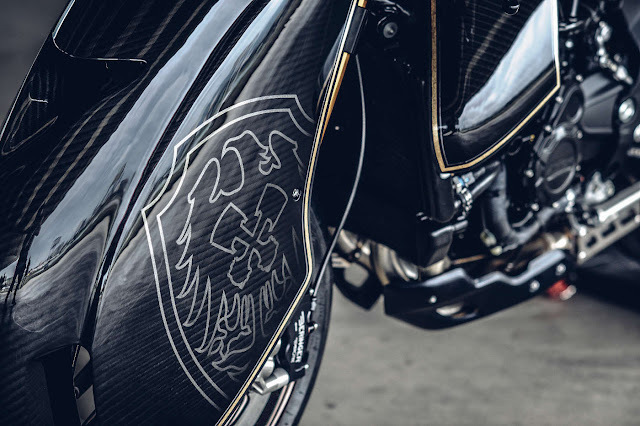 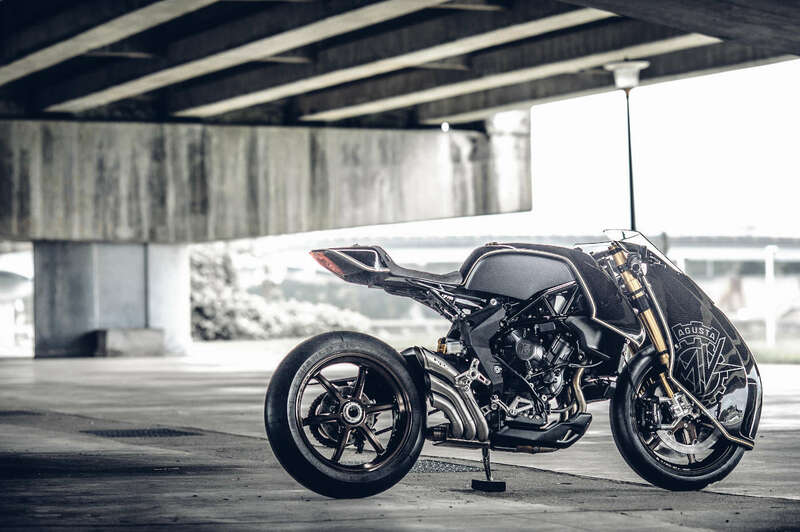 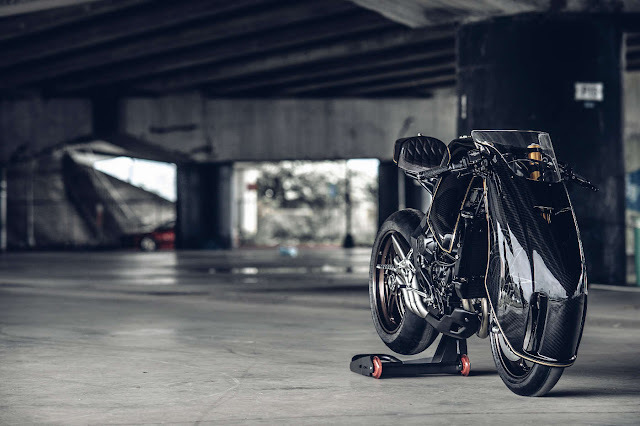 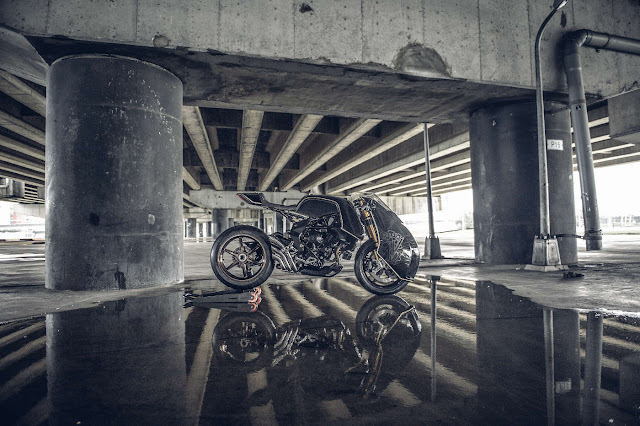 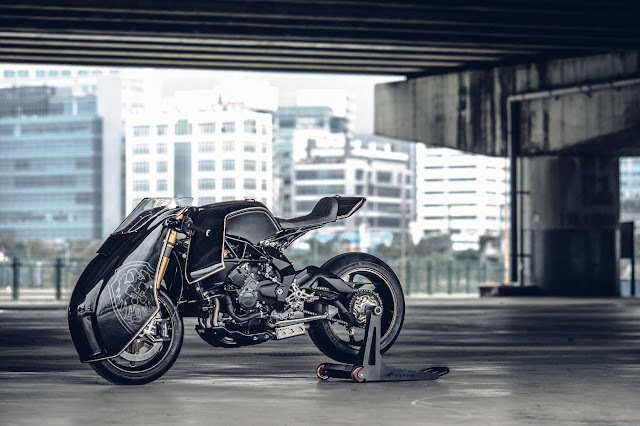 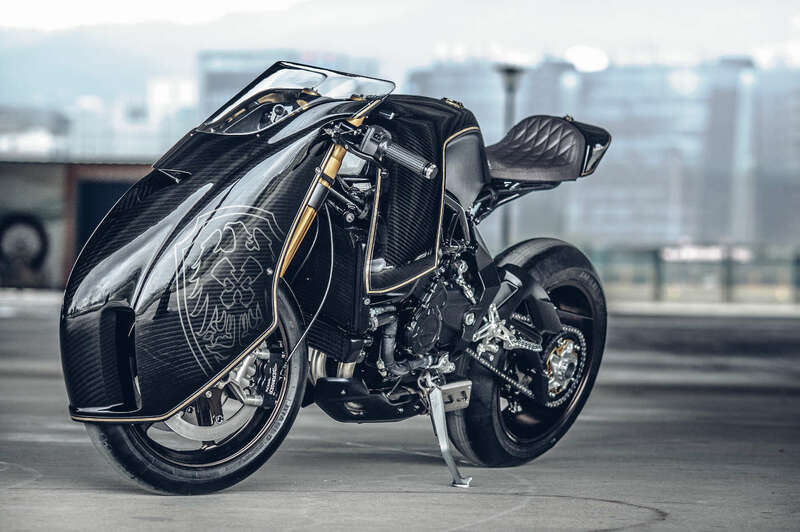 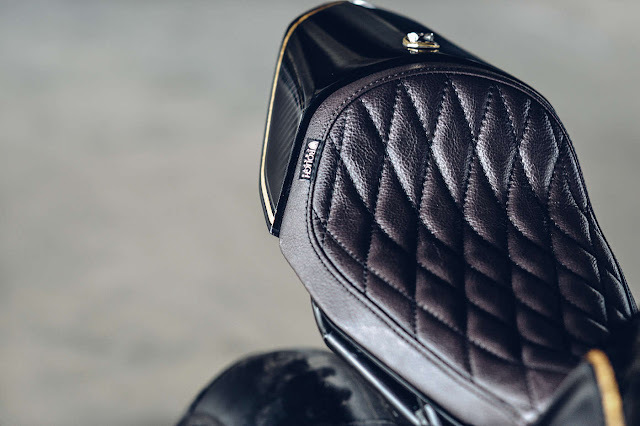 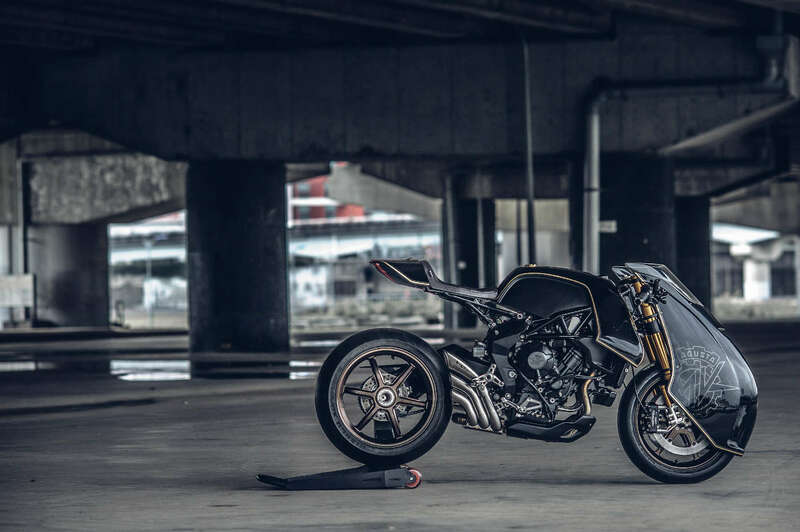 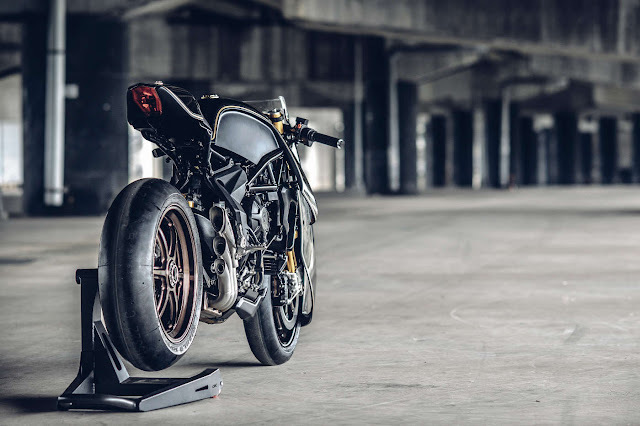 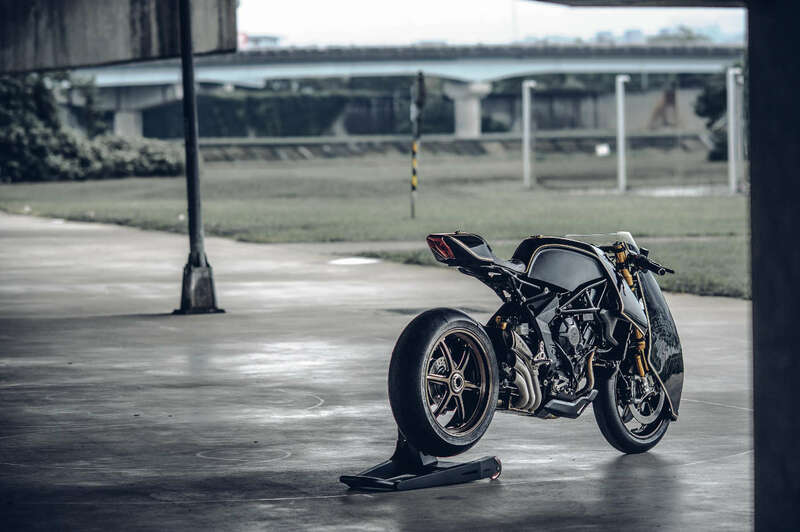 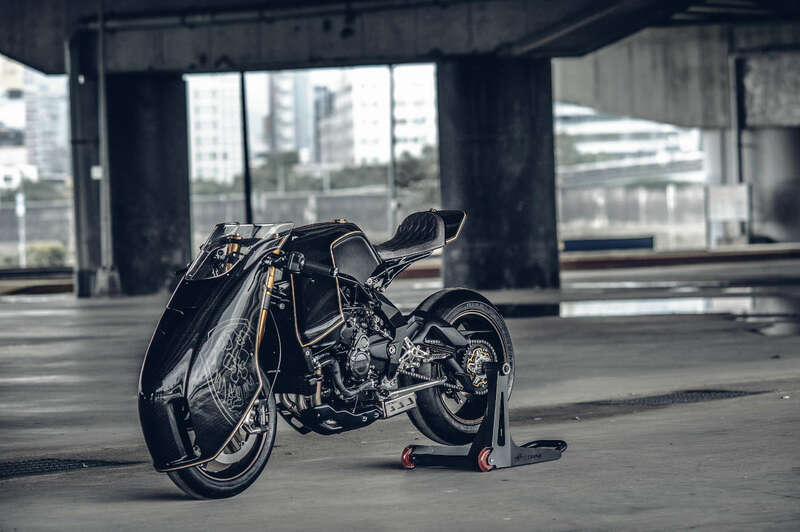 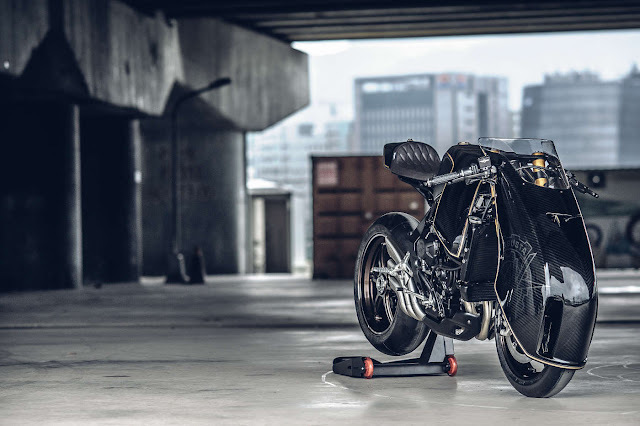 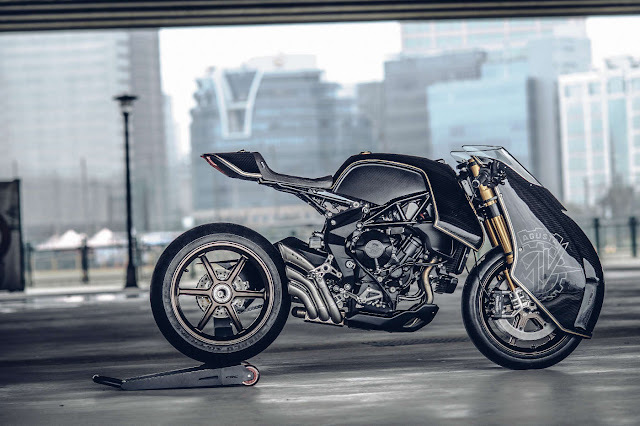 Wheels F: Rough Crafts x Wukawa Industry "RCVGP-6" style / 17 x 3.50"
Wheels R: Rough Crafts x Wukawa Industry "RCVGP-6" style / 17 x 6.00"
".....This build was commissioned by MV Agusta Taiwan, to showcase the world what a MV Agusta can be done with Rough Crafts flavor. We try to capture the rich racing history of vintage MV Agusta with the newest model, the Brutale 800RR as the base, while looking at old pictures with MV racing vintage GP, we saw these old GP bikes with big dustbin full fairing, immediately I decided this is the biggest visual reference I want to put into the design, but the vintage dustbin fairing got a down side (also the reason it got banned from the race), it¡¦ll face a big amount of side wind, also with a full fairing you¡¦ll need to either make the faring very wide, or make the turn very restricted, which I don¡¦t want either way, so this is the ¡§modern dustbin¡¨ I came up with, which turns with the forks and super small in the side profile also super narrow from the front too, and when it¡¦s on the bike, the tank ¡§wings¡¨ extended out, to form a continues curve from the side profile goes all the way to the tail section. 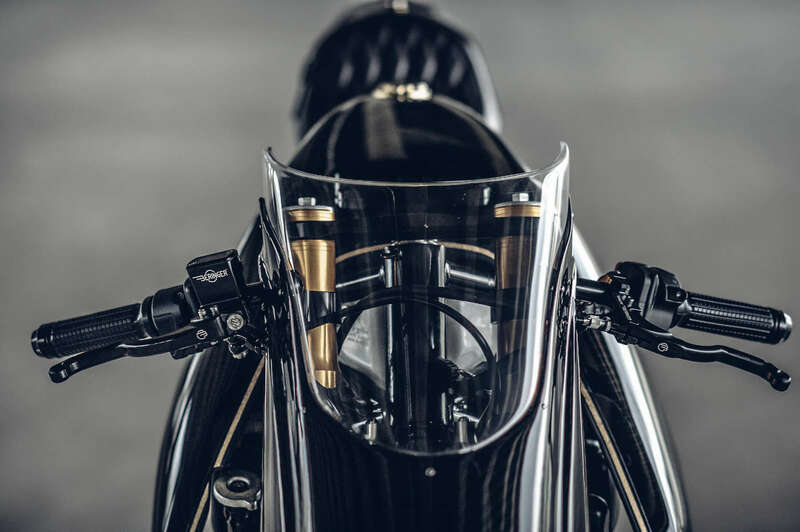 Also from the top of the windscreen, to the peak of the tank, till the top of the tail section, forms a perfect line too. 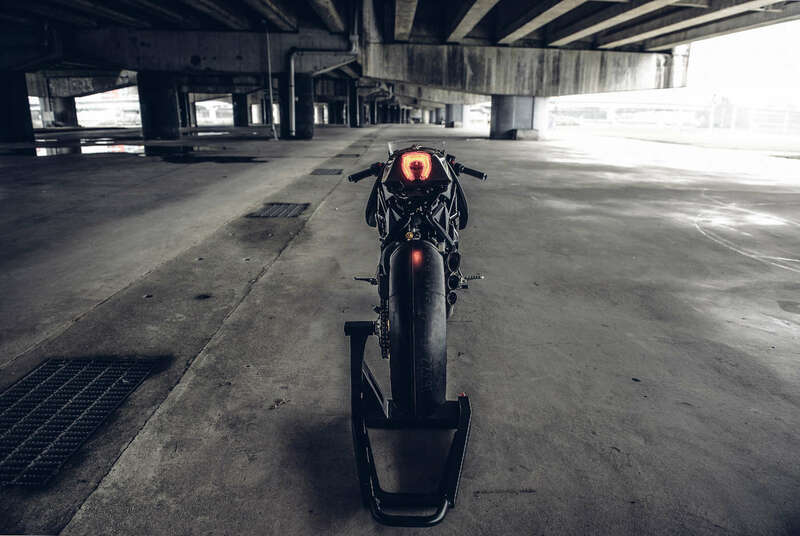 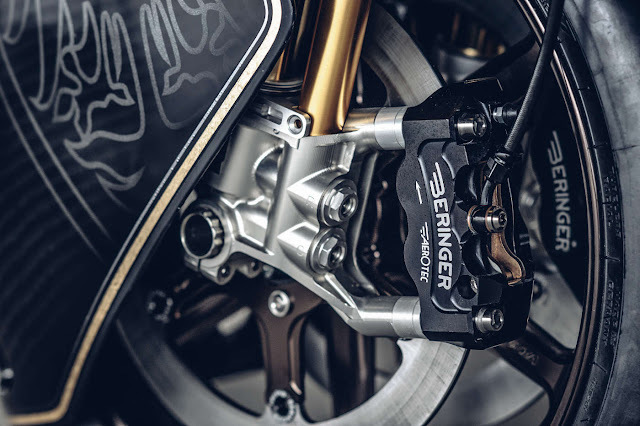 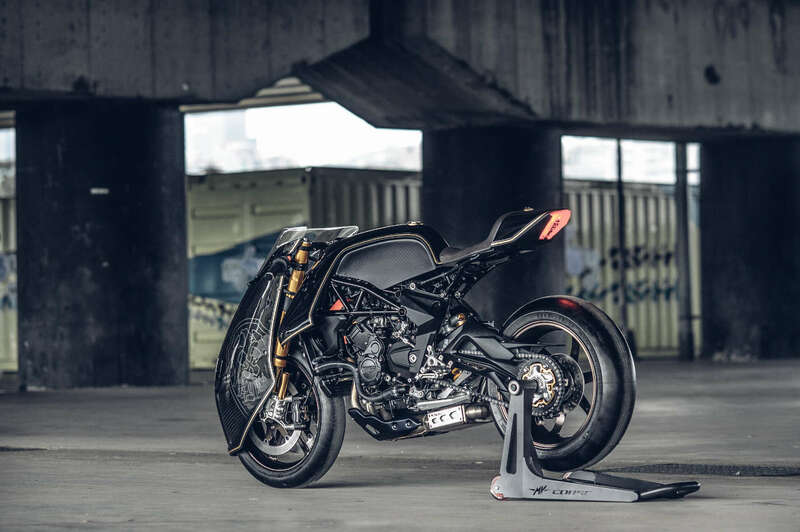 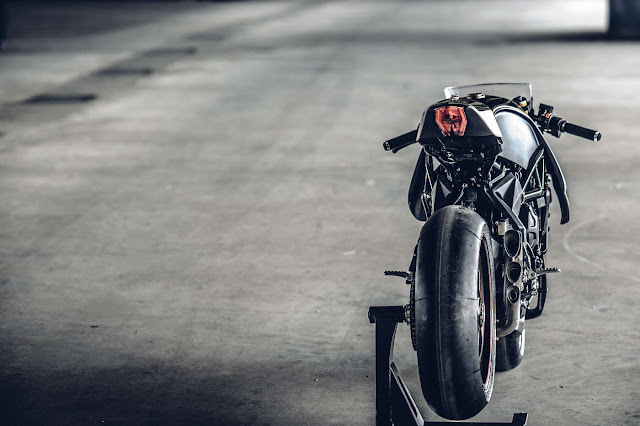 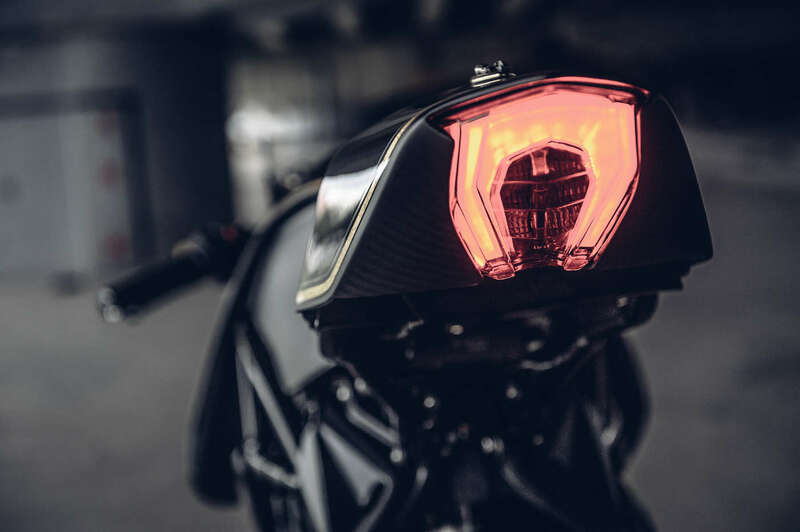 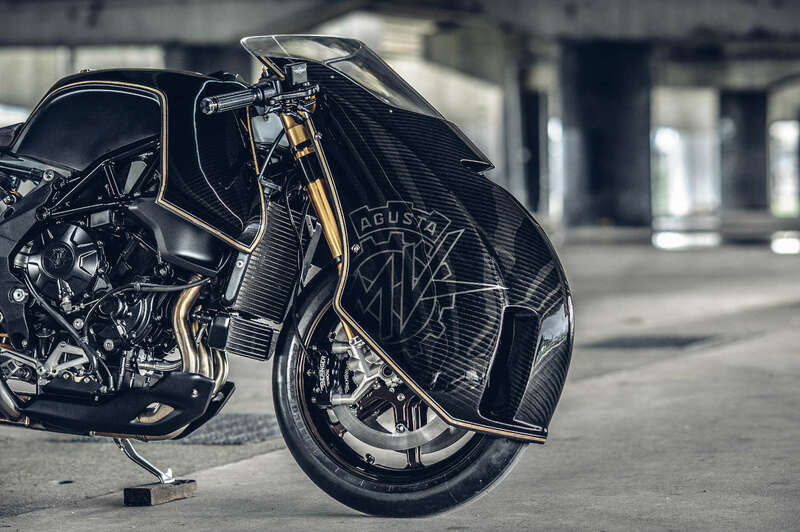 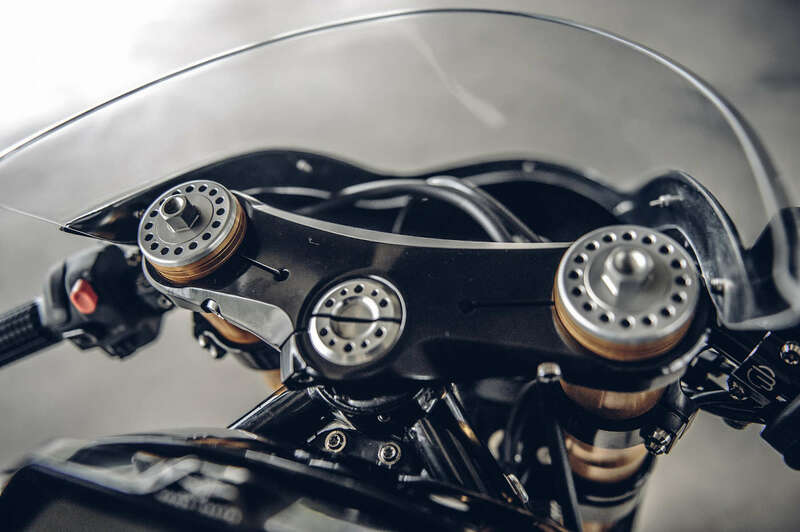 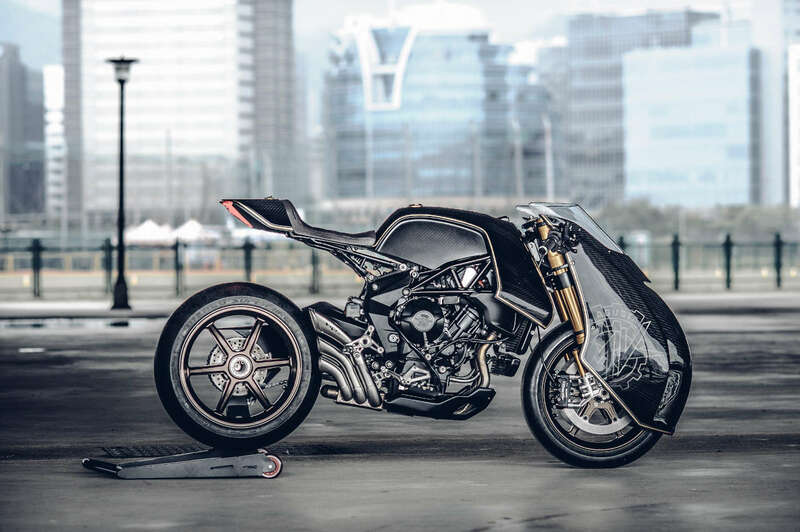 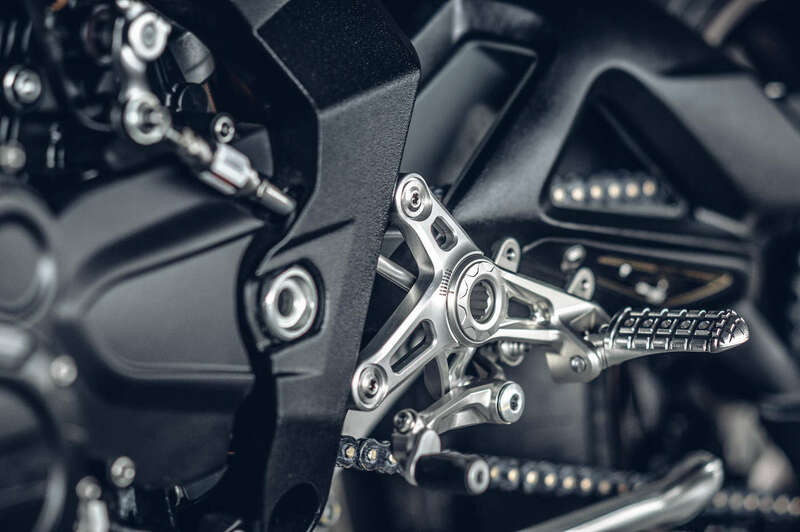 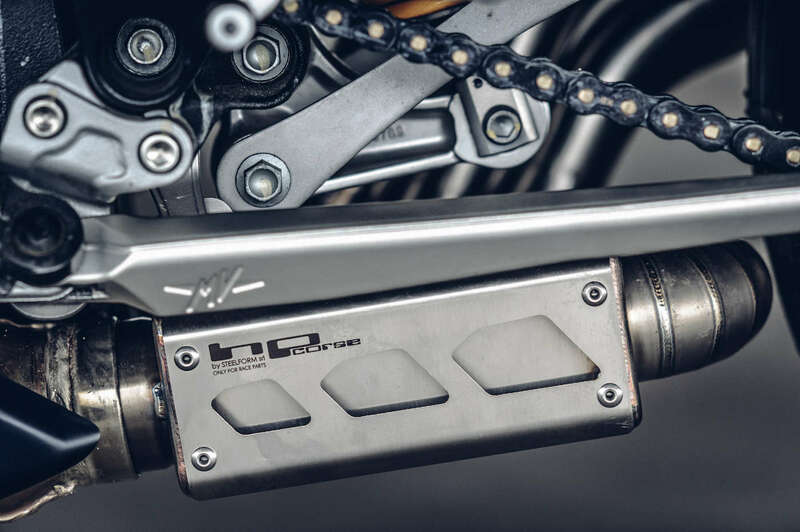 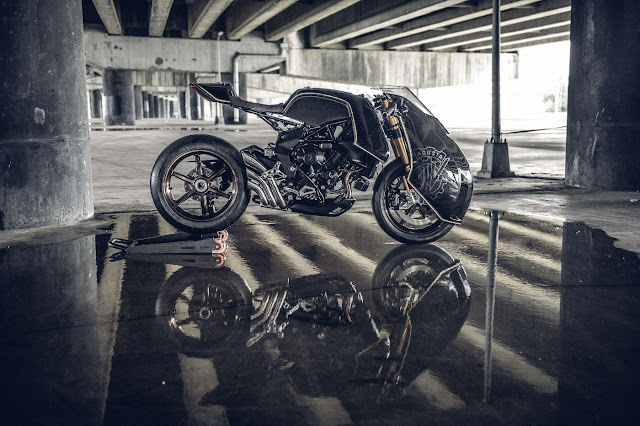 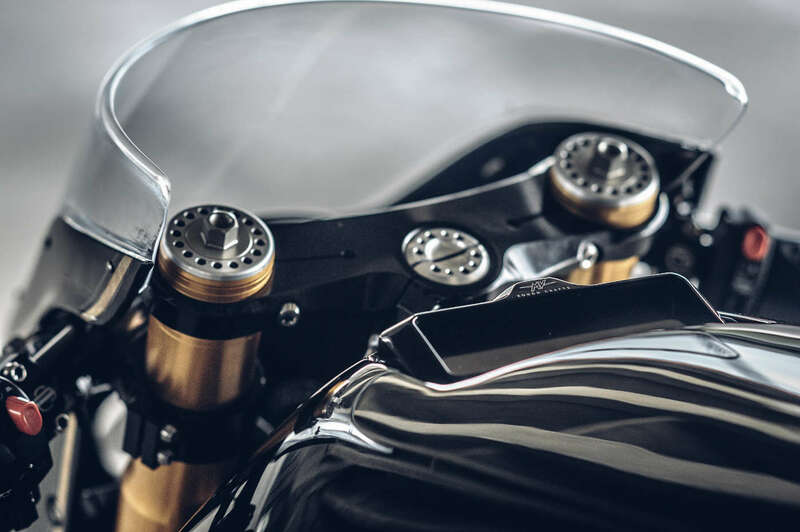 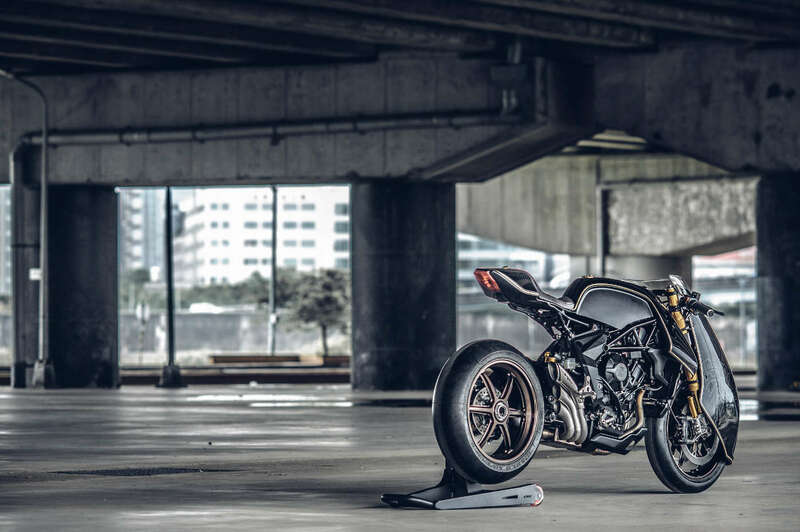 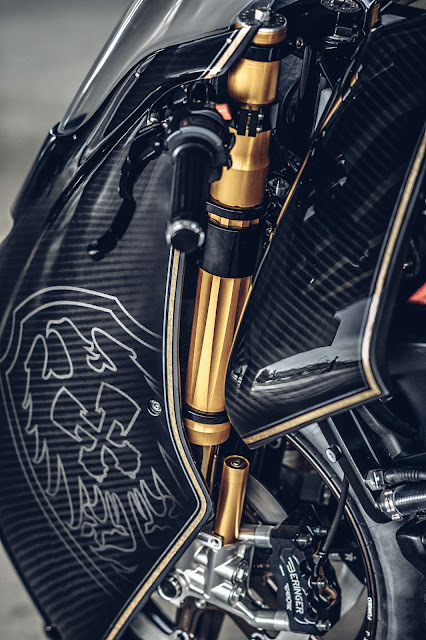 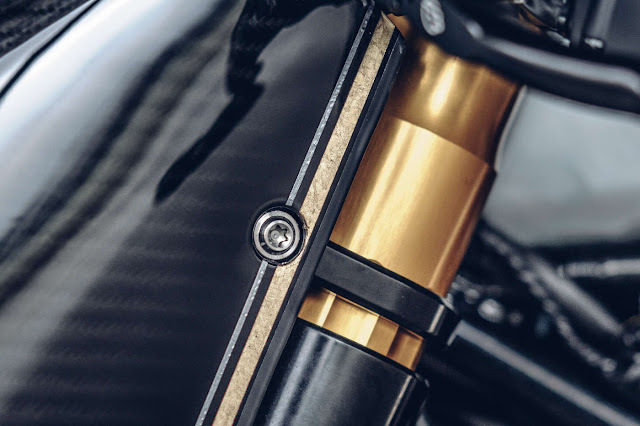 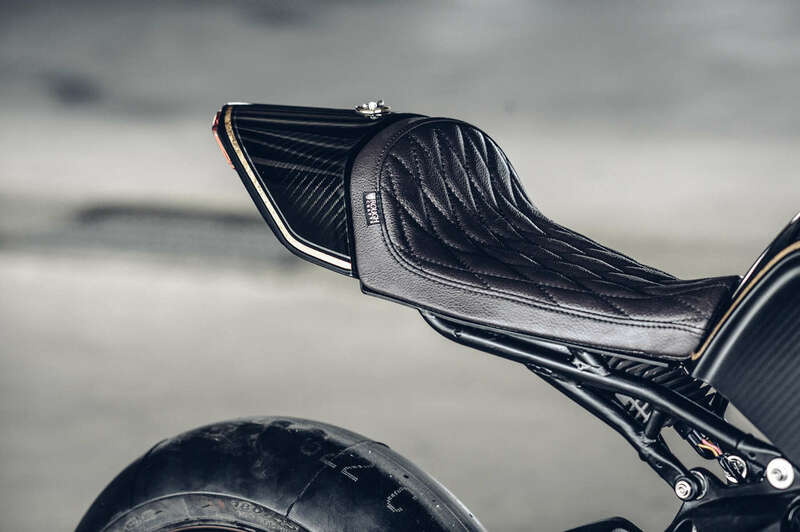 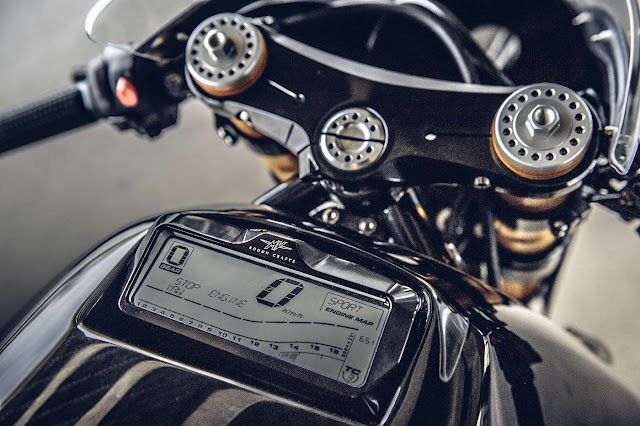 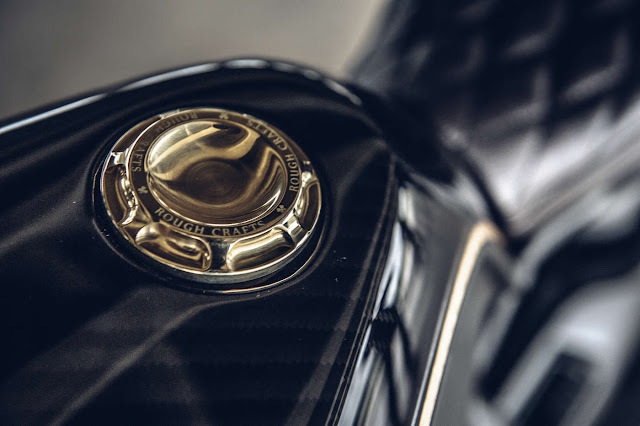 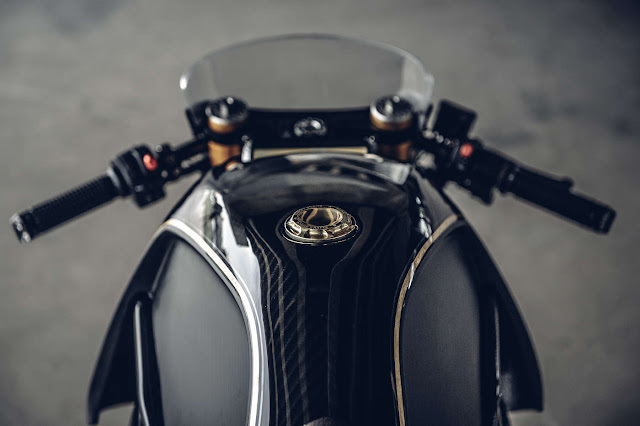 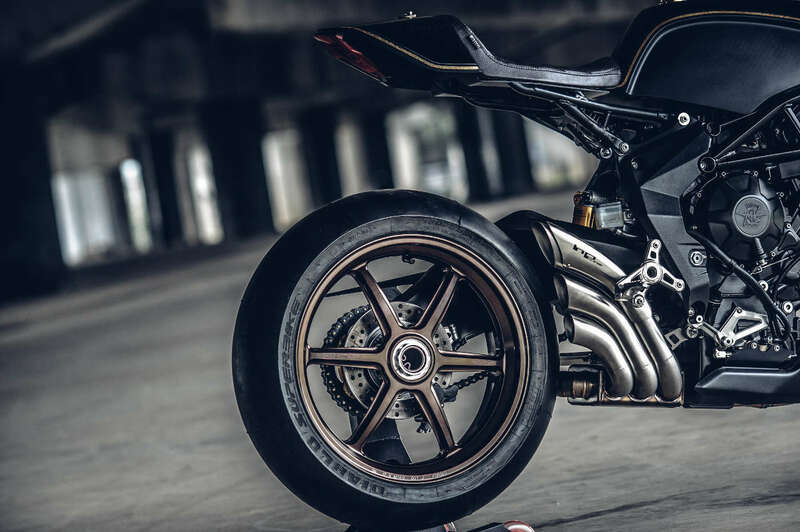 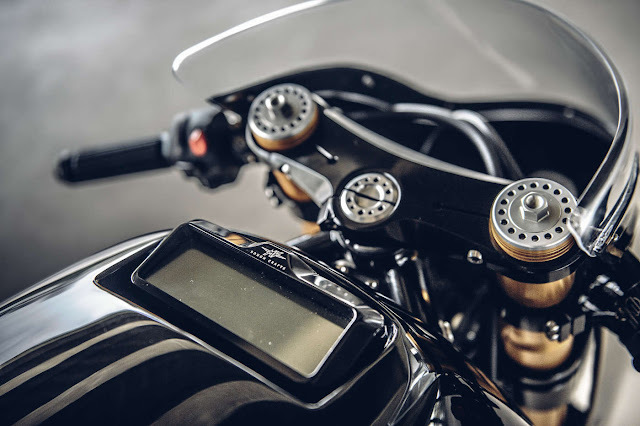 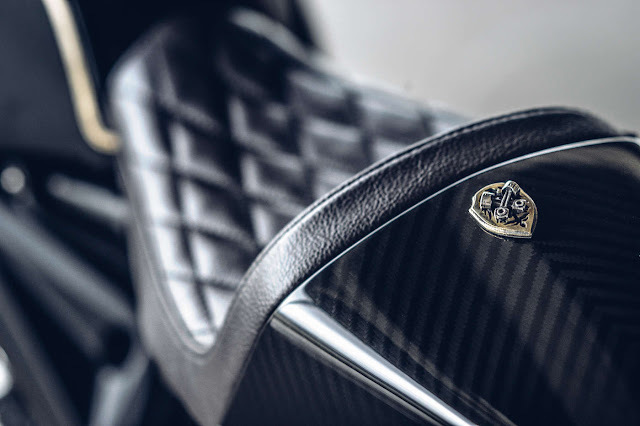 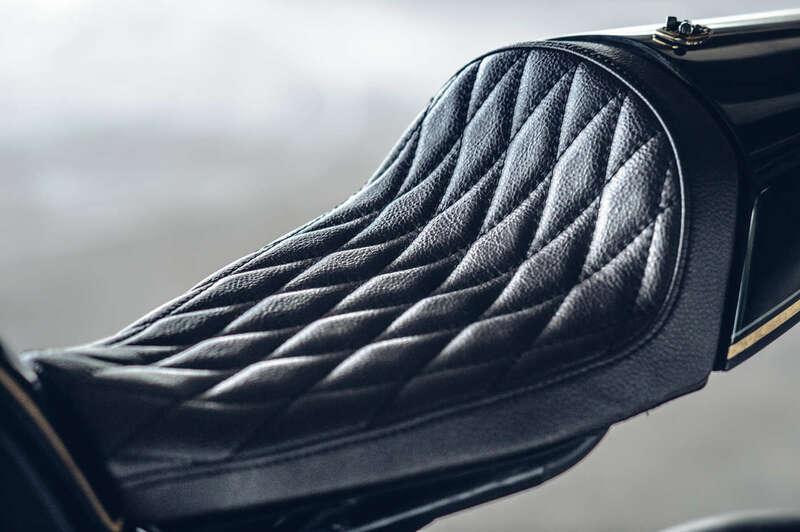 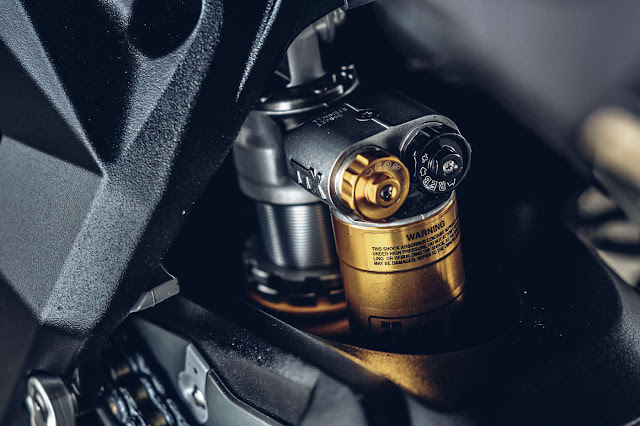 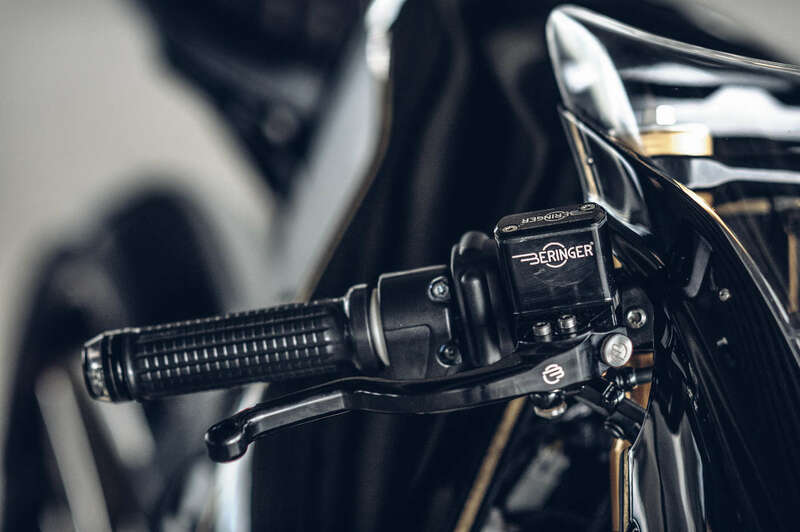 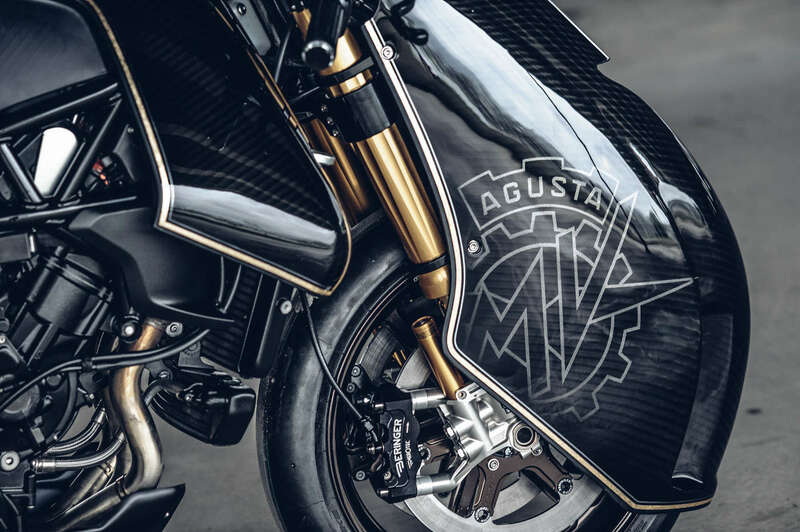 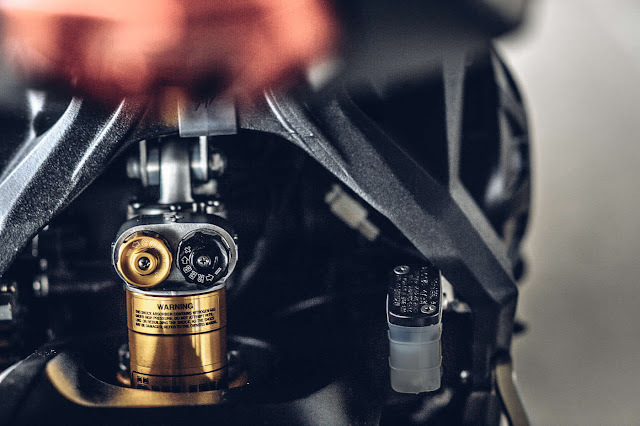 The ¡§Hydro-Tre¡¨ exhausts from HP Corse (https://www.facebook.com/hpcorse/?fref=ts), is hands down the most beautiful exhausts designed for MV Agusta. 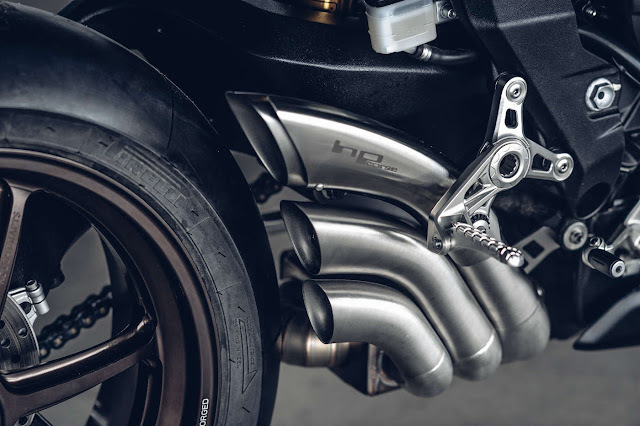 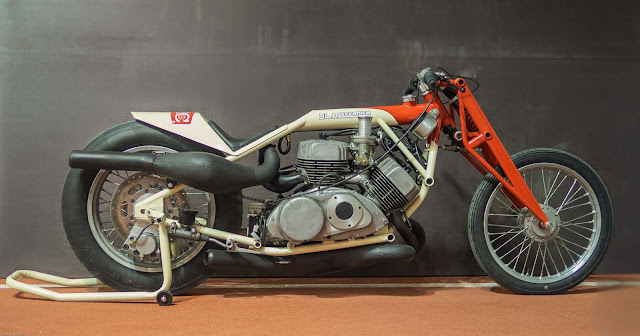 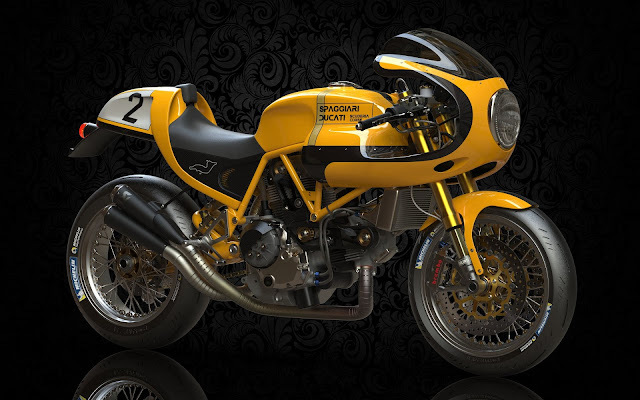 When I was doing the research of what exhausts can be done to the bike, I immediately found myself drawn to that design and it just flow with the curves I try to achieve with the bike perfectly, usually I made my own exhausts system for every bike I built, but this time I just found myself keep drawn back to the Hydro-Tre's look, so I contacted HP Corse, found that they've been watching my builds for a while too and willing to provide one of their very fisrt production batch for the build!! 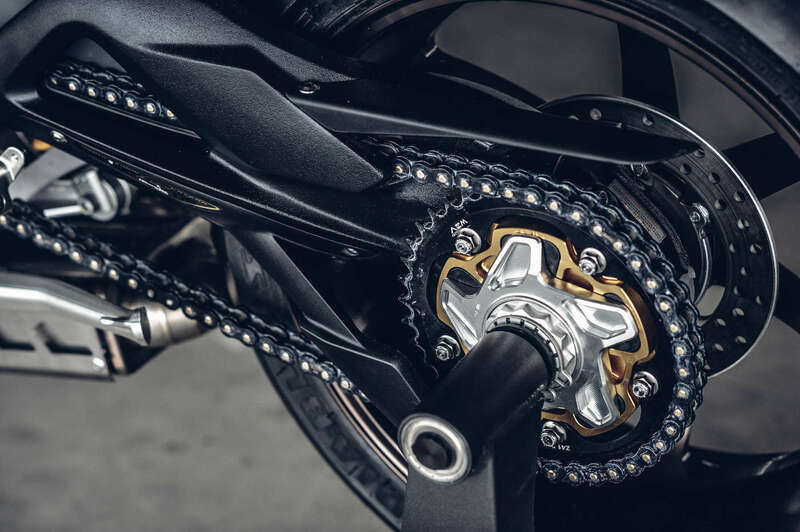 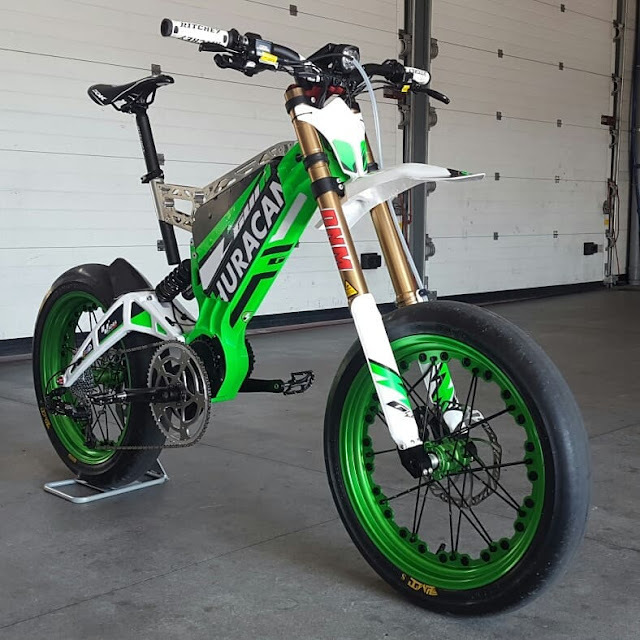 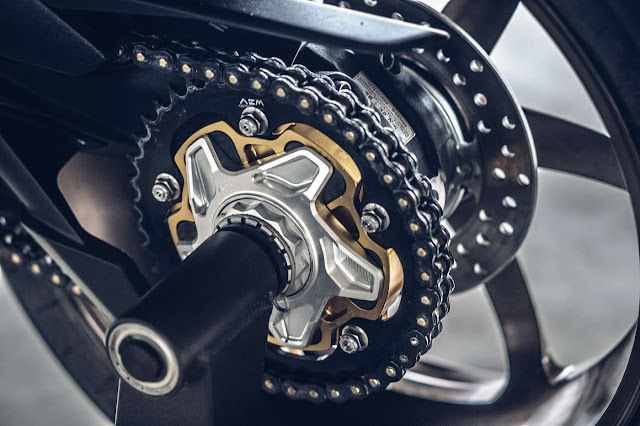 At the 11th hour, AEM Factory (https://www.facebook.com/AEMfactory/?fref=ts) came up with this beautifully machined sprocket with colors matching the whole bike....."